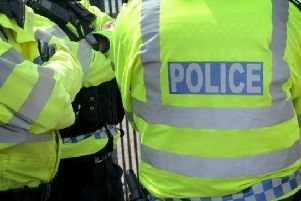 Power tools and backpacks were taken from disc golf course near Leamington after it was targeted by burglars over the weekend. On the night of Saturday November 24 into Sunday November 25, the burglars got into storage containers and a shed in Quarry Park Golf Course off Old Milverton Lane. They took two petrol strimmers, a chainsaw, a hedge trimmer and disc golf backpack bags. The power tools were all made by Stihl, and had a characteristic bright orange colour. They were also all extensively marked with the course's postcode CV32 6RW and Quarry Park Disc Golf. Course owner Derek Robins said the tools were insured, but said his premiums were likely to go up after a similar break in happened last February. He added: "It's not so much the tools - it's all the damage they've done to get inside." Anyone with any information about the break-in should call Warwickshire Police on 101, quoting incident number 121 of November 25.